NASCAR Driver Cody Coughlin of the No. 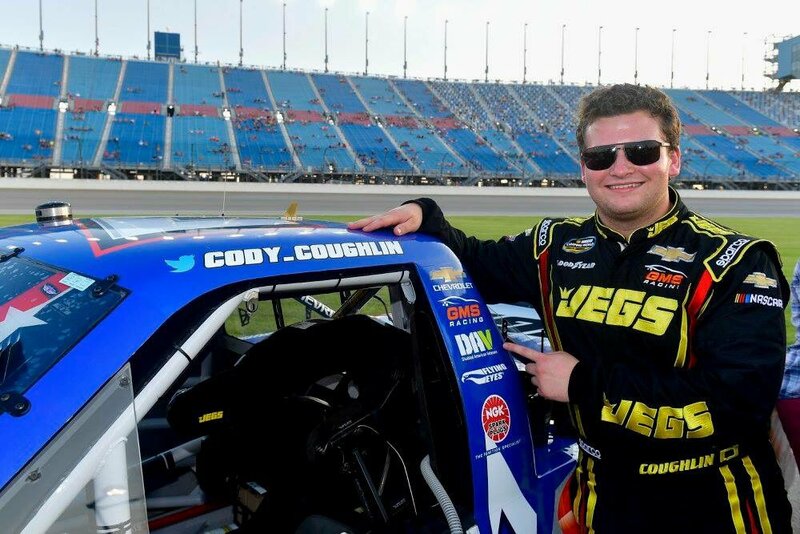 2 JEGS Chevrolet Silverado, will be racing in honor of veterans around the world at the 2018 NASCAR Camping World Truck Series Corrigan Oil 200 on Saturday, August 11th at the Michigan International Speedway. Coughlin makes a cameo appearance in the upcoming film, GOD BLESS THE BROKEN ROAD, which pays special tribute to those who serve and have served in the United States Military and their families. The film will open in theaters Friday, September 7, 2018. The film has partnered with DAV (Disabled American Veterans), a nonprofit charity dedicated to providing a lifetime of support to disabled American veterans and their families, and together launched the #BlessAVet campaign. Through the #BlessAVet initiative, the public can brighten the day of an American veteran by donating a movie ticket to GOD BLESS THE BROKEN ROAD and a $25 Restaurant.com gift card to them. In addition, a portion of the proceeds from the film goes to DAV. Directed by Harold Cronk (God’s Not Dead, God’s Not Dead 2), GOD BLESS THE BROKEN ROAD was primarily filmed in Manistee and Grand Rapids Michigan and tells the inspirational story of a young mother who loses her husband in Afghanistan and struggles to raise their young daughter in his absence. The film focuses on the importance of family, friends, and faith, while paying tribute to those who serve in the United States Military. The film stars Lindsay Pulsipher (True Blood, The Hatfields & Mccoys), Andrew Walker (Date with Love, Steel Toes), Jordin Sparks (Sparkle, Left Behind), LaDainian “LT” Tomlinson (NFL Pro Football Hall of Fame, NFL Network Analyst), Makenzie Moss (Steve Jobs), Kim Delaney (Army Wives, NYPD Blue), Robin Givens (Riverdale) and more. Will Brian France Suffer Indefinite Suspension? Tucker Wilson's Drums Feature Dale Sr.